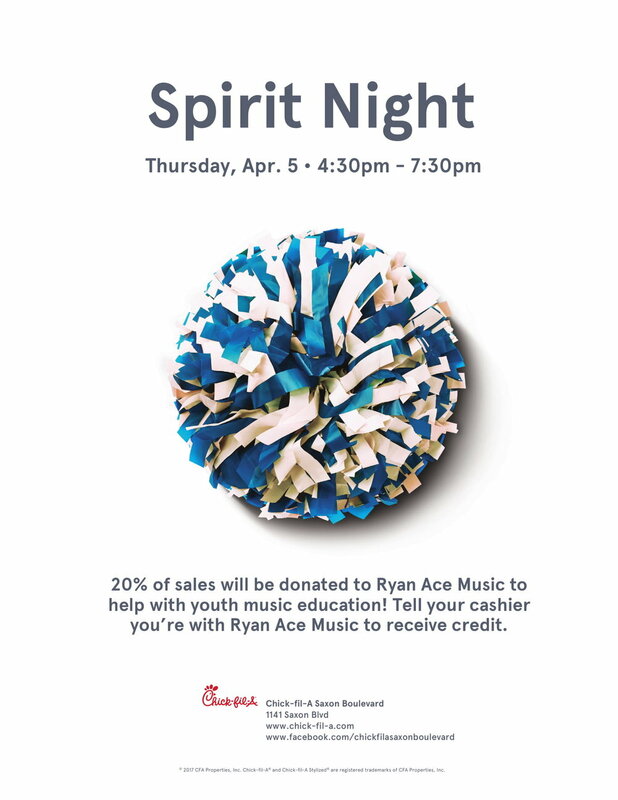 Come support the Ryan Ace Music Foundation at this year's Chick-Fil-A Fundraising Event! It will be held at the Chick-Fil-A on Saxon Boulevard on April 5th from 4:30 until 7:30 PM. Mention our company or foundation and 20% of your purchase will be donated to our cause at no additional cost! Click below to RSVP and we hope to see you there!